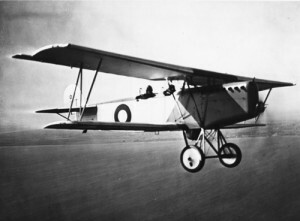 The O-maskinen was designed and built by Flyvetroppernes Værksteder (The Flying Corps’ Toolshops). There were two models of the O-Maskine. I O and II O. I O was a two-seater biplane designed and test-flown during 1926, and the II O was a single-seater. They were mainly used for training purposes, but they could be armed with one fixed and two movable 8mm Madsen machine guns. O-maskinen was painted white and grey except for a brief period before WWII, where the standard Danish Army camouflage colours were used. The table below shows the specifications. Weight empty 1000 kg ? Weight full 1400 kg ? Max speed 200 km/h ? Cruise Speed 150 km/h ? Max altitude 6000 m ? Armament 1 x fixed and 2 x movable 8 mm Madsen Machine Gun 1 x fixed 8 mm Madsen Machine Gun. I am presently designing a 1:5 remote-controlled model of the O-Maskine. You can see the build-process here.